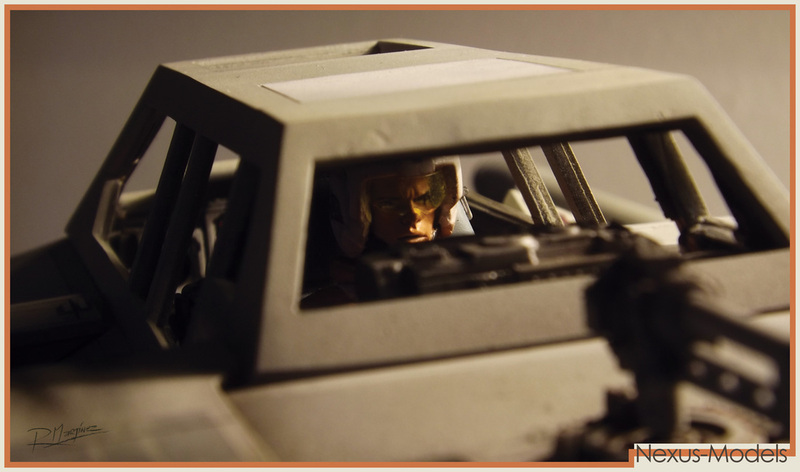 Composede picture, model plus Osorno Vocano. 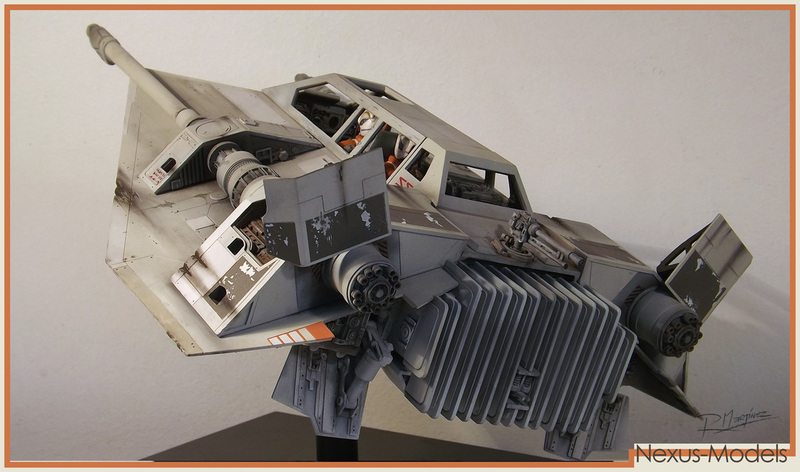 Nexus 1/18th Snowspeeder: Side View. 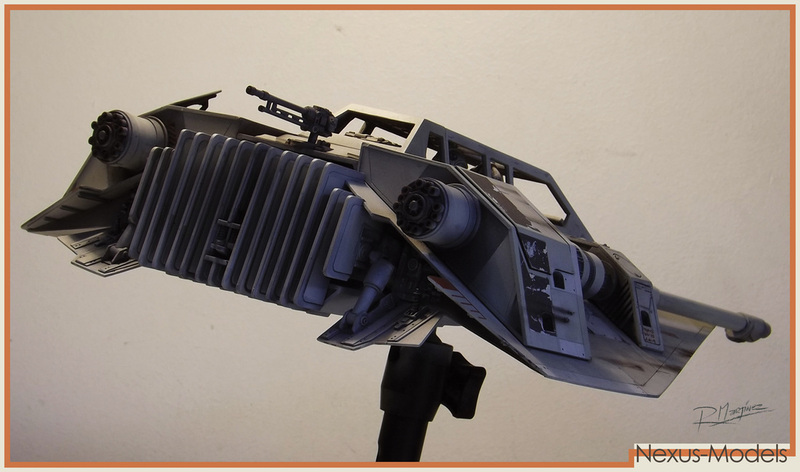 Nexus 1/18th Snowspeeder: Front View. 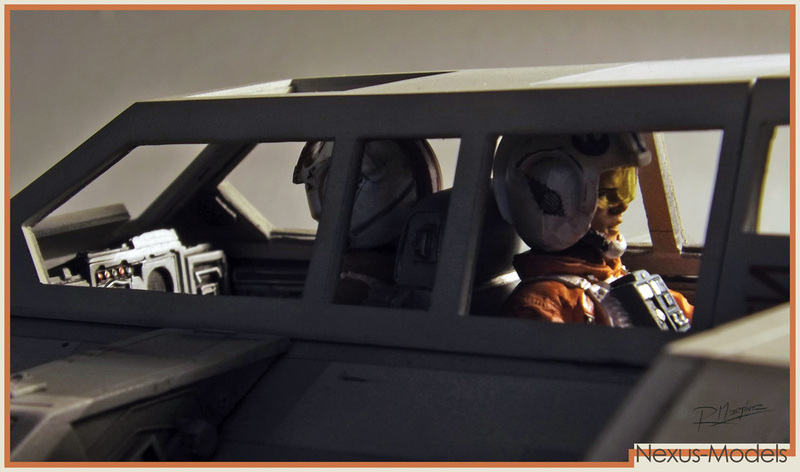 Snowspeeder Pilots: Luke and Dak. 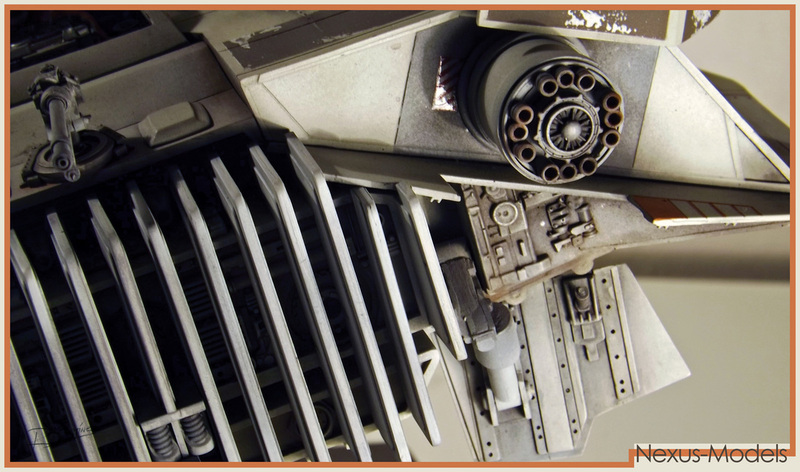 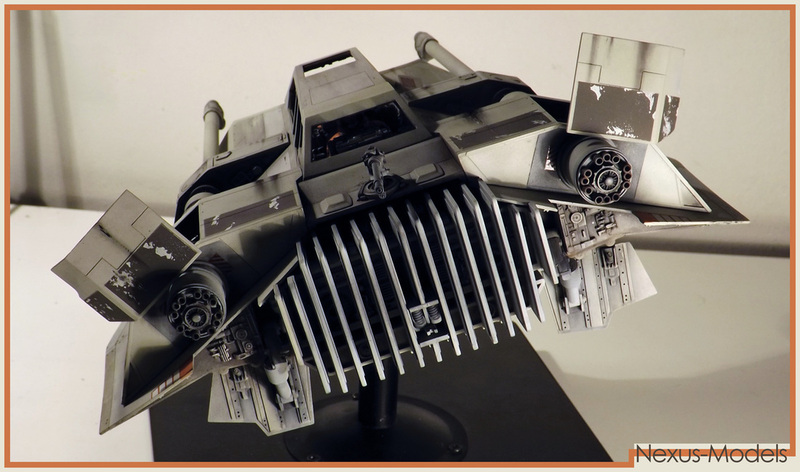 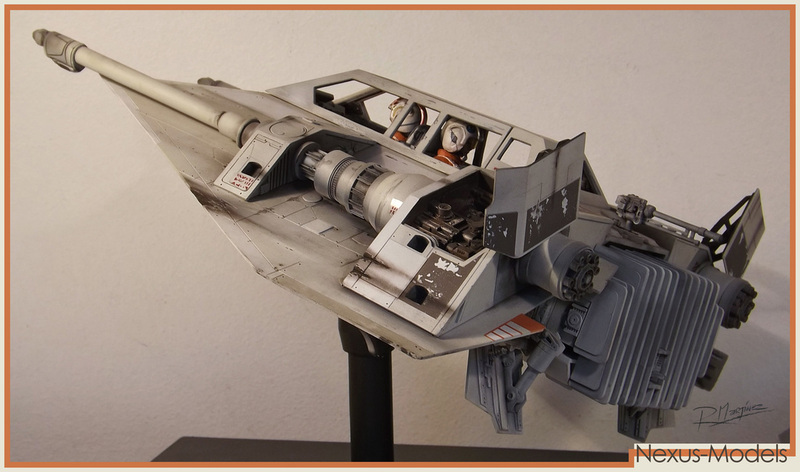 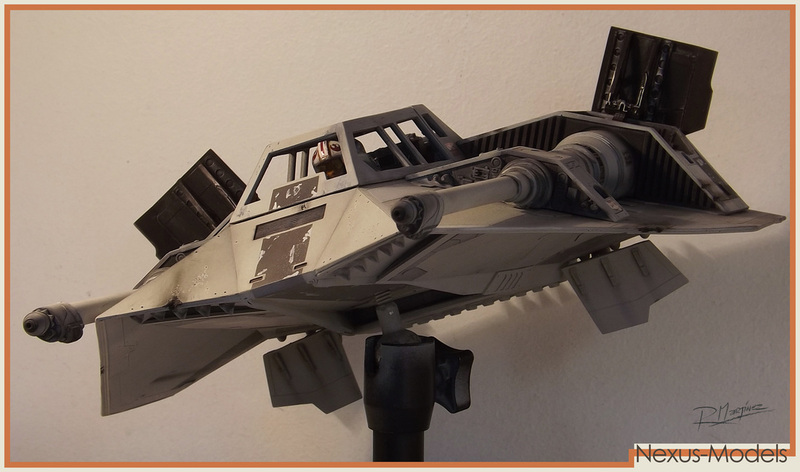 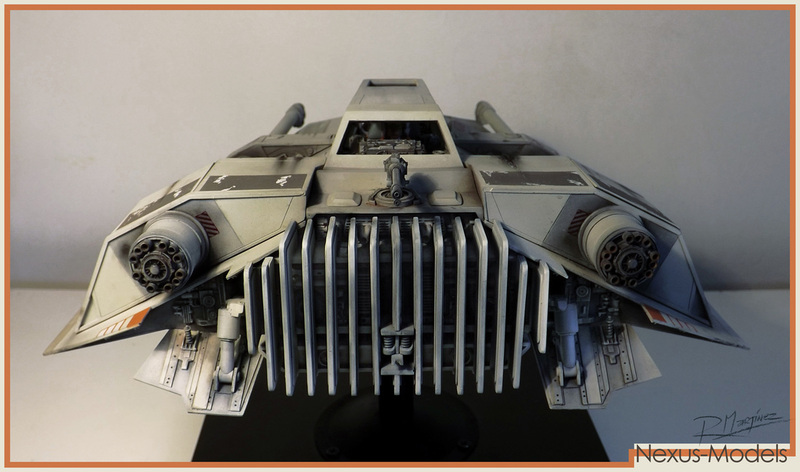 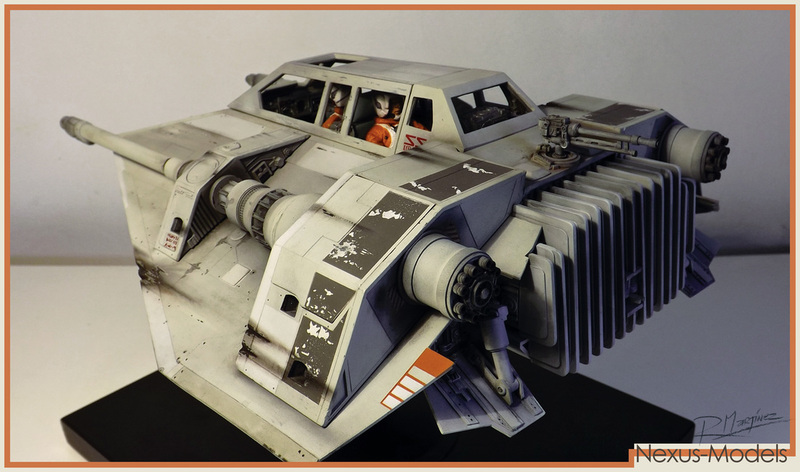 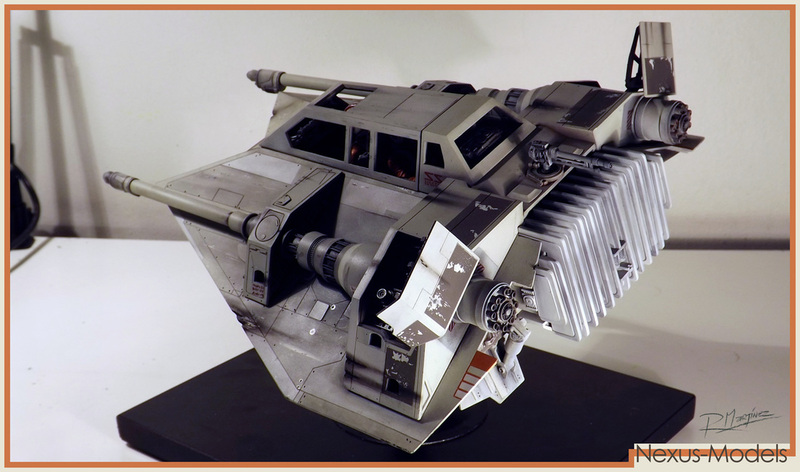 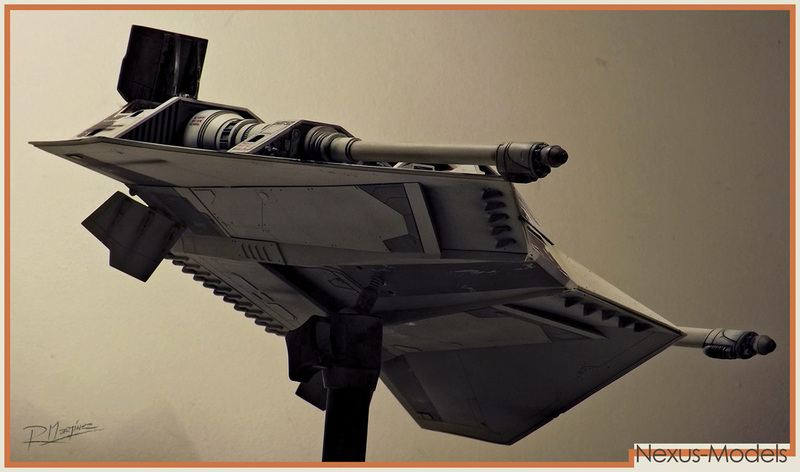 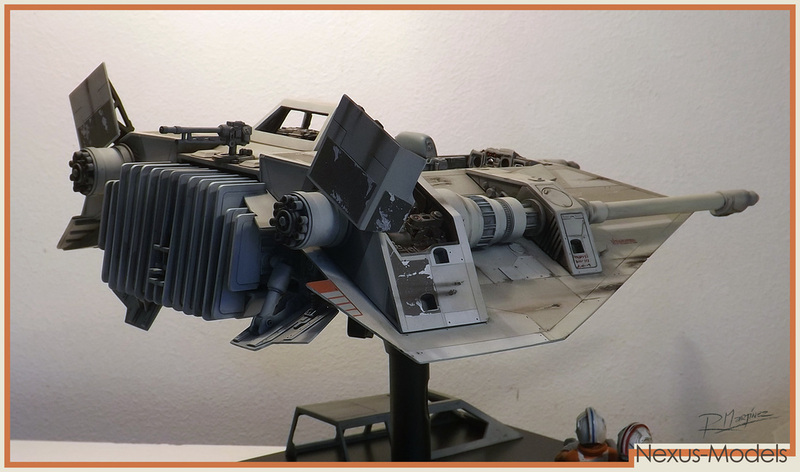 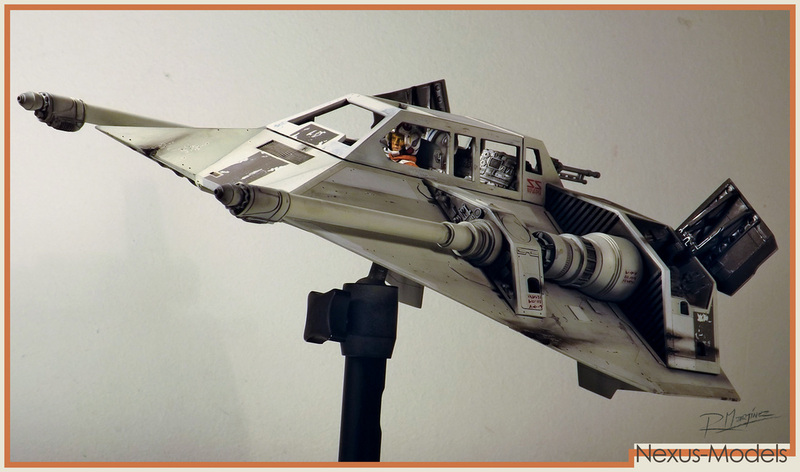 The Nexus 1/18th Scale Snowspeeder Resin Model Kit is based on the 46,8 cm (18,4 Inches) wide ILM Filming model. 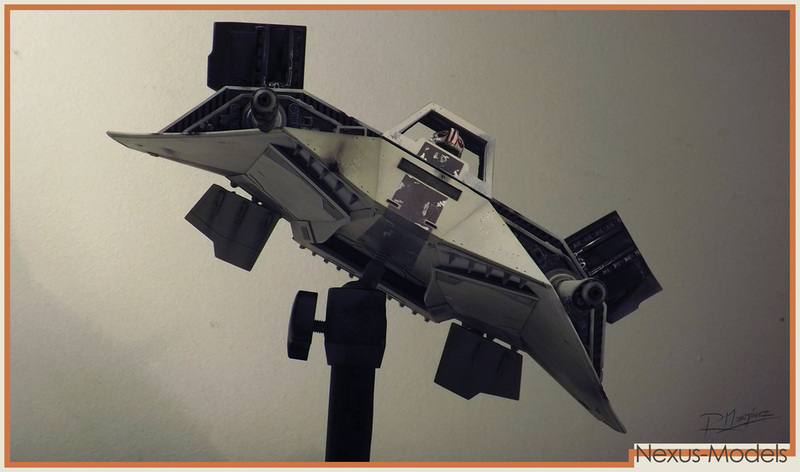 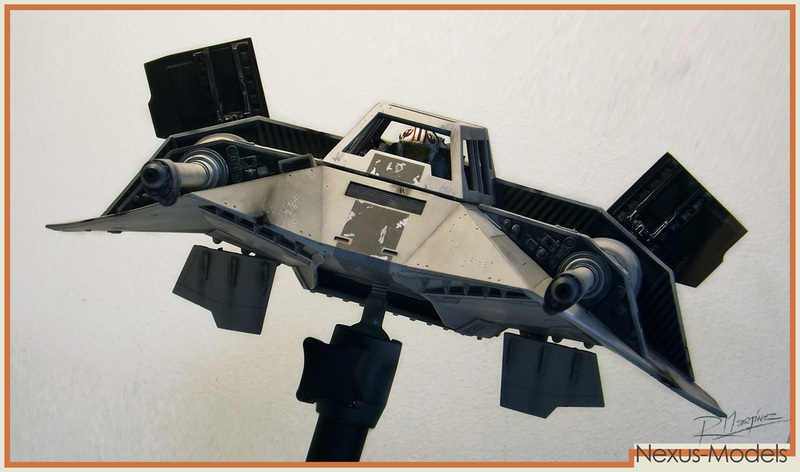 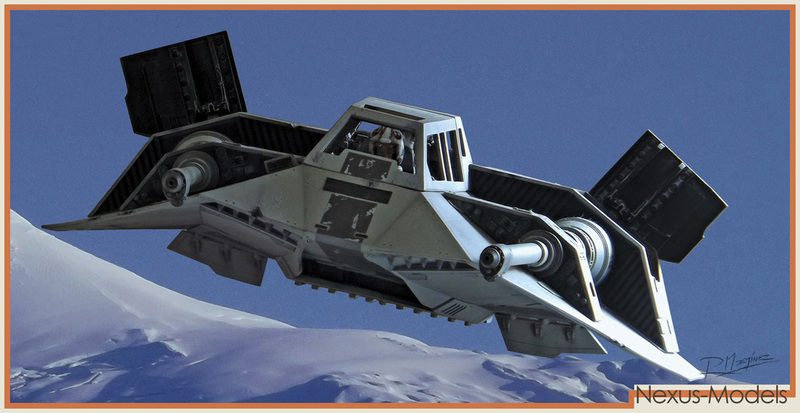 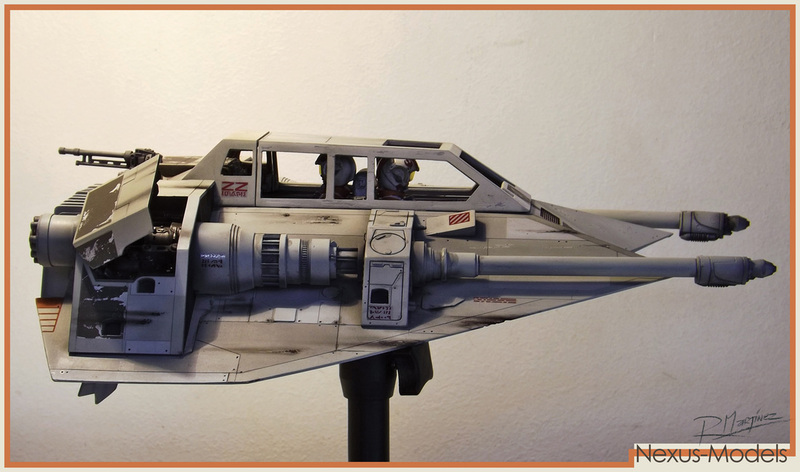 The Nexus Snowspeeder is 60% the size of the original model measuring 27,8 cm (10,94 inches) from wing tip to wing tip. 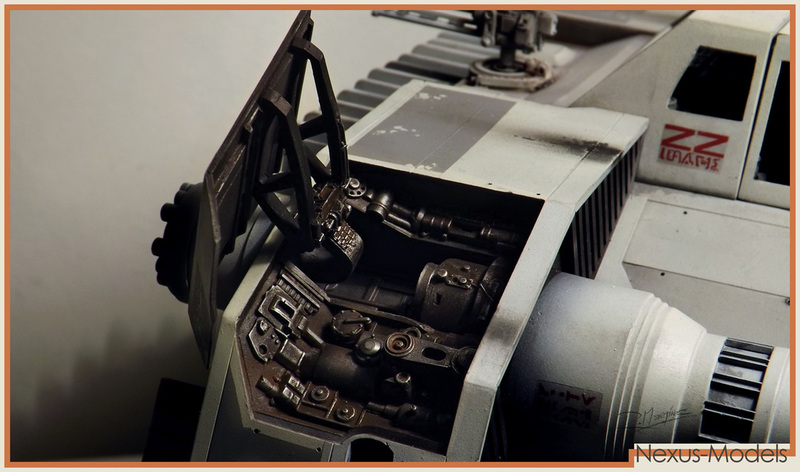 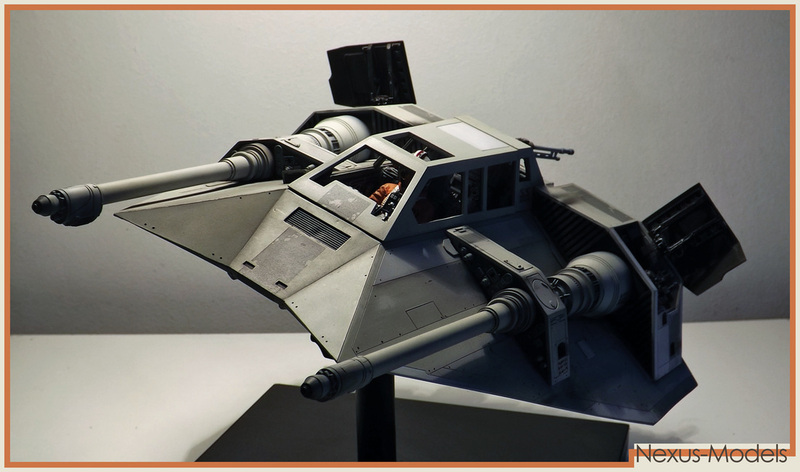 Although the model is sized down in scale, all the angles and original shape has been reproduced as accurately as possible to maintain the original look of the amazing ILM original filming models. 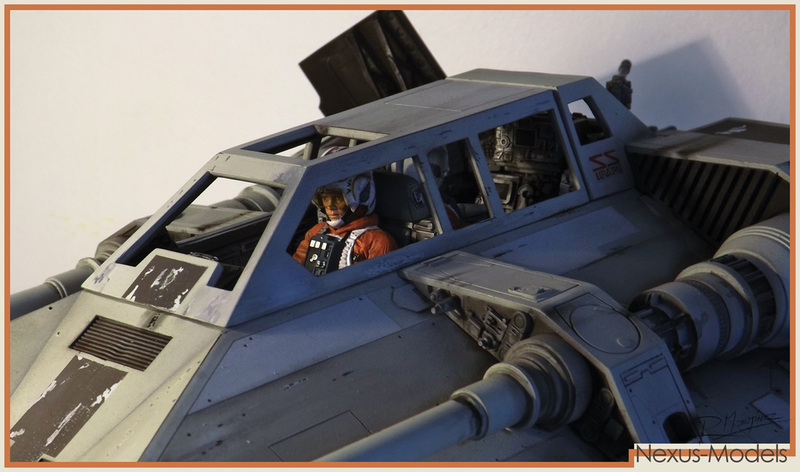 The kit comes with two highly detailed Hoth Rebel Pilots, including heads for Luke, Wedge and a gunner, with the corresponding helmet decals for Luke, Wedge, Dak and Jansen, plus a pair of realistic looking goggles for each pilot. 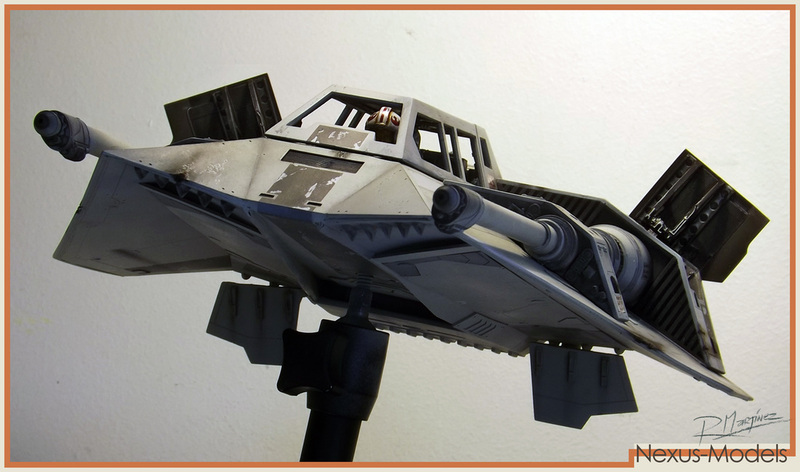 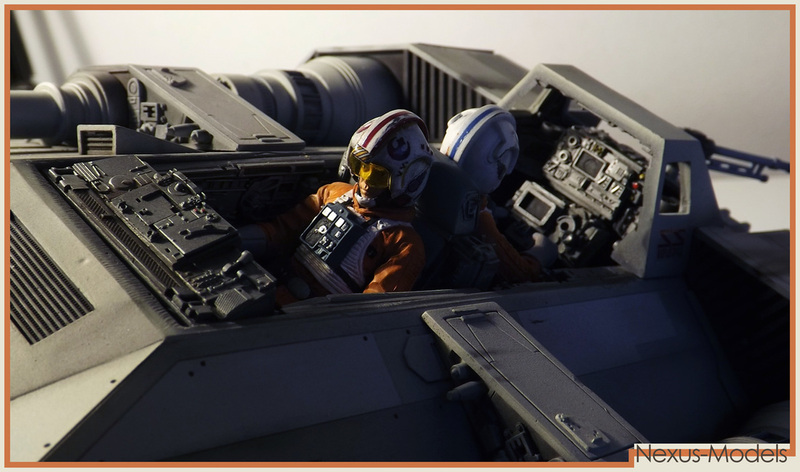 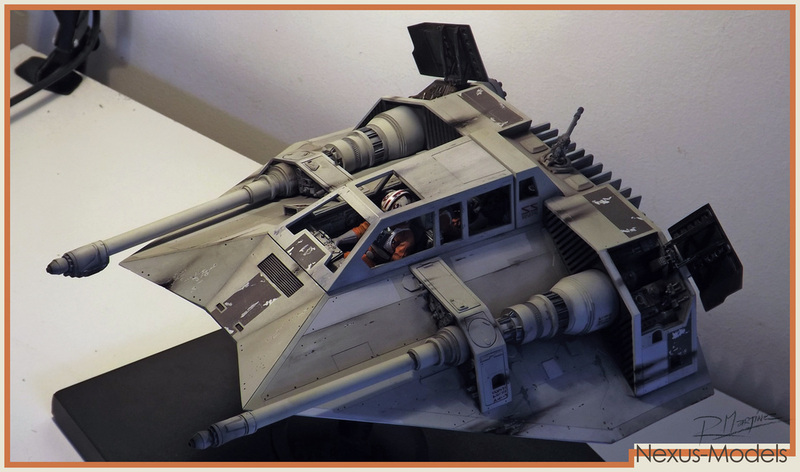 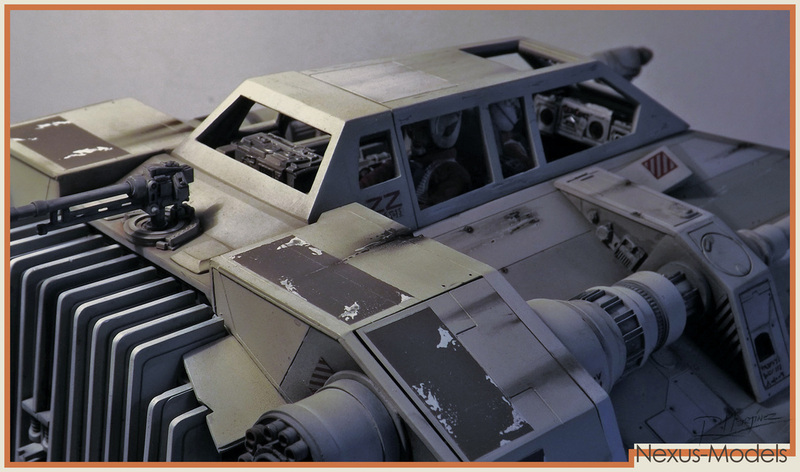 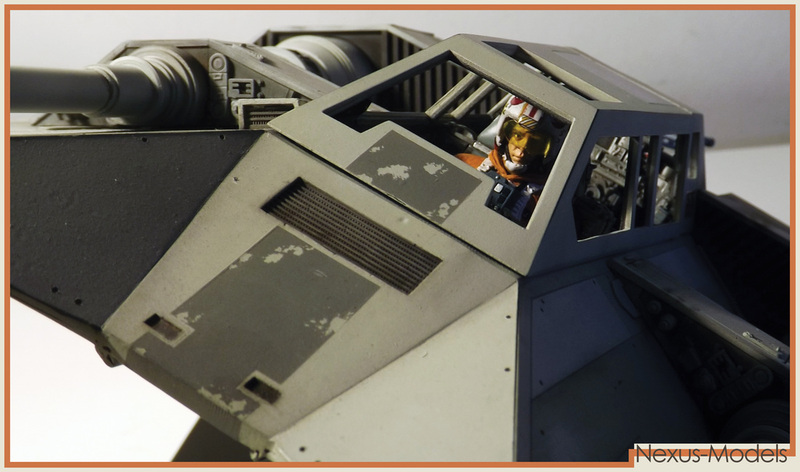 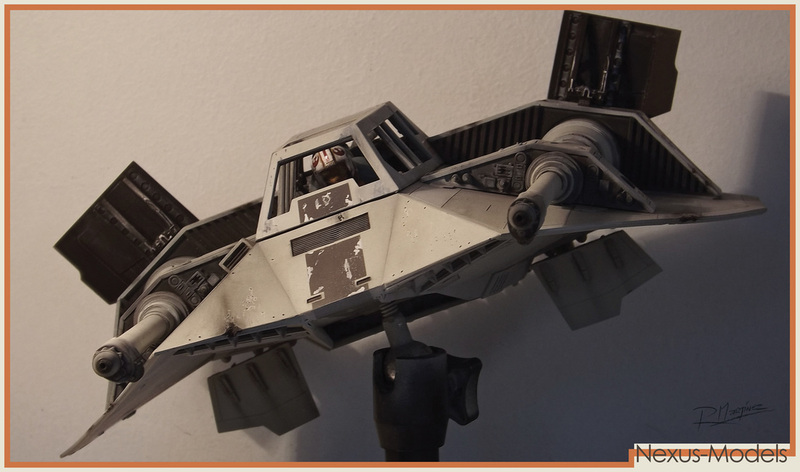 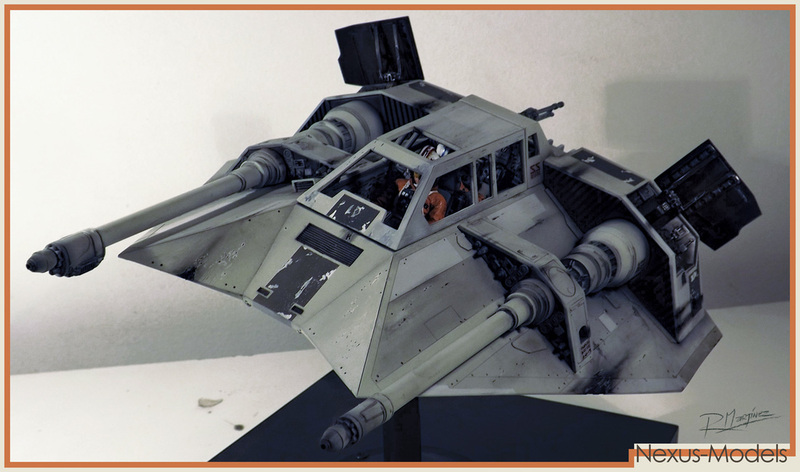 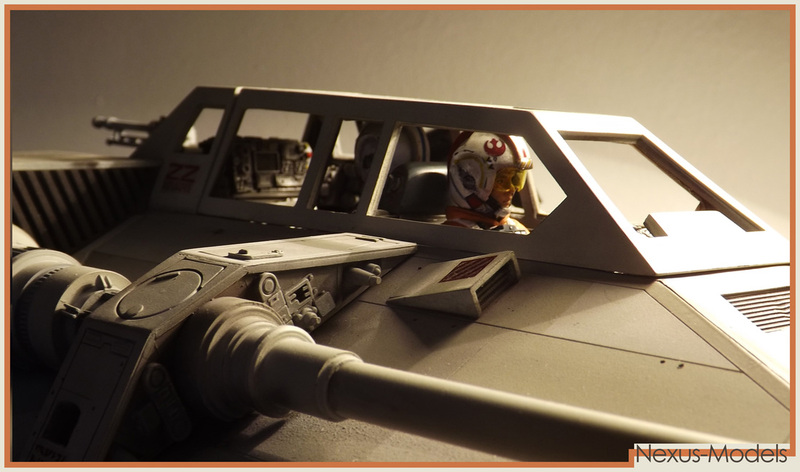 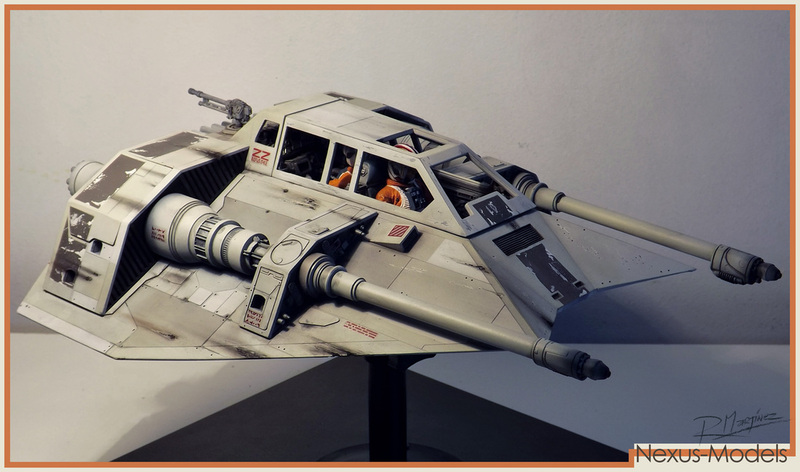 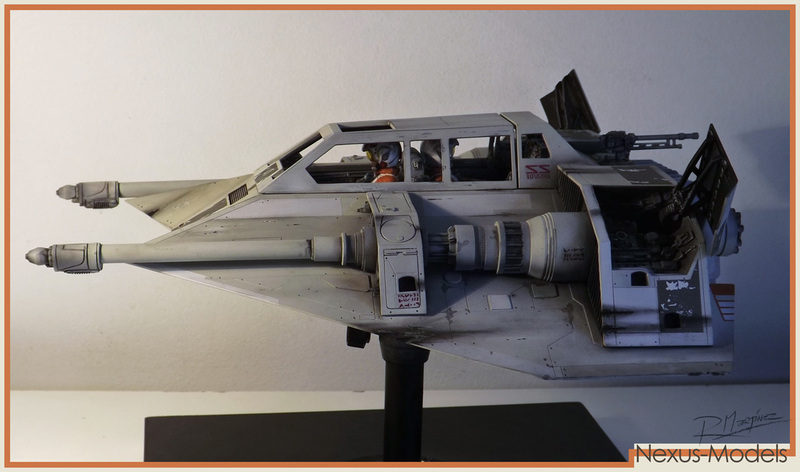 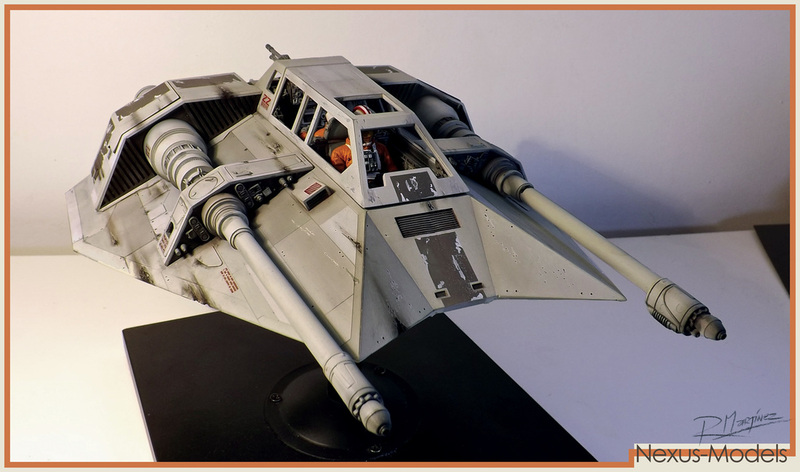 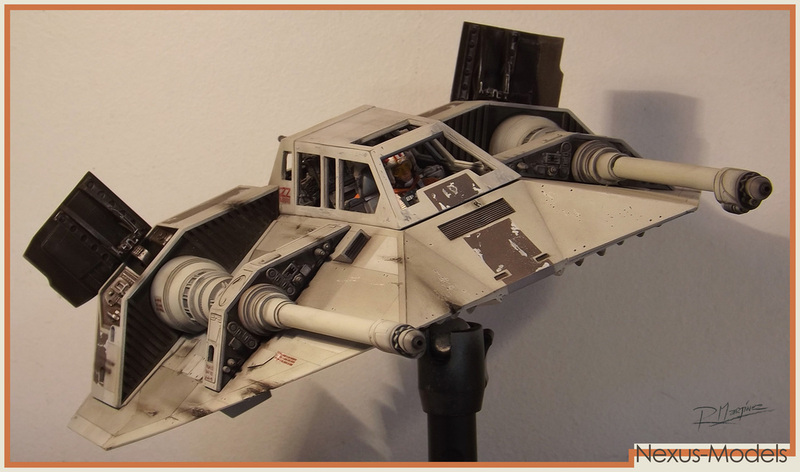 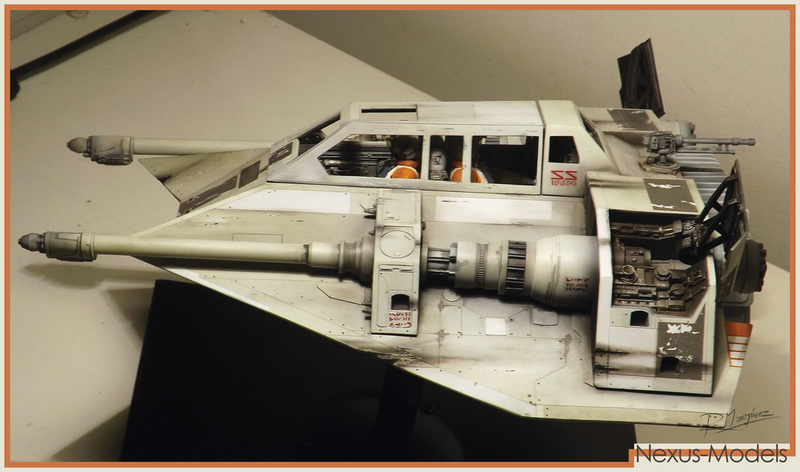 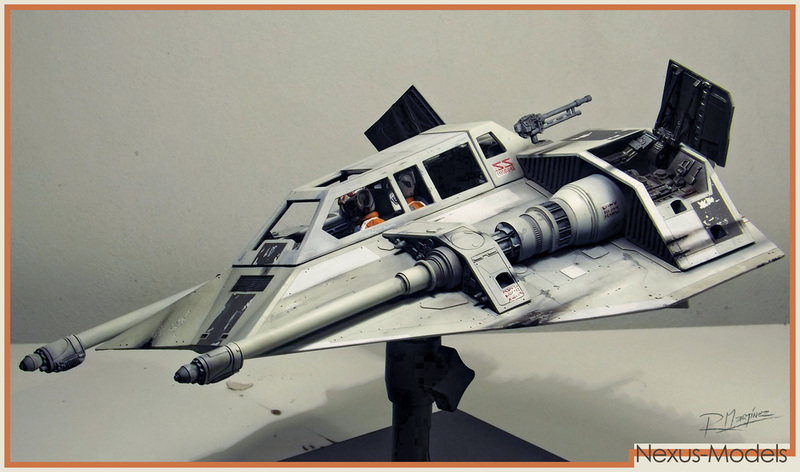 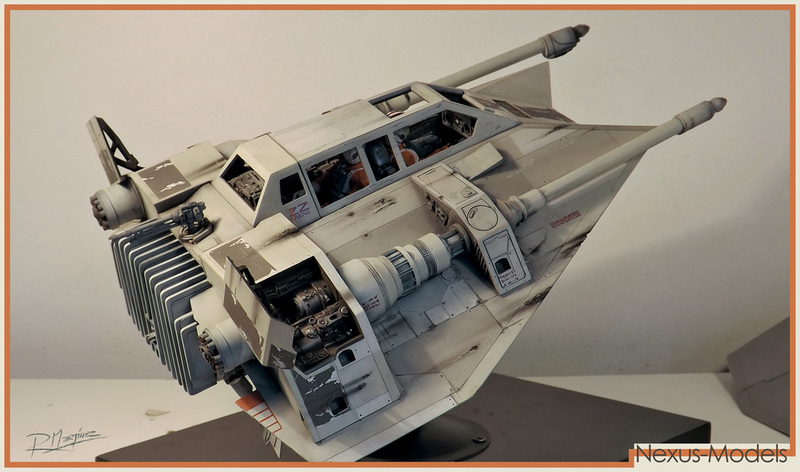 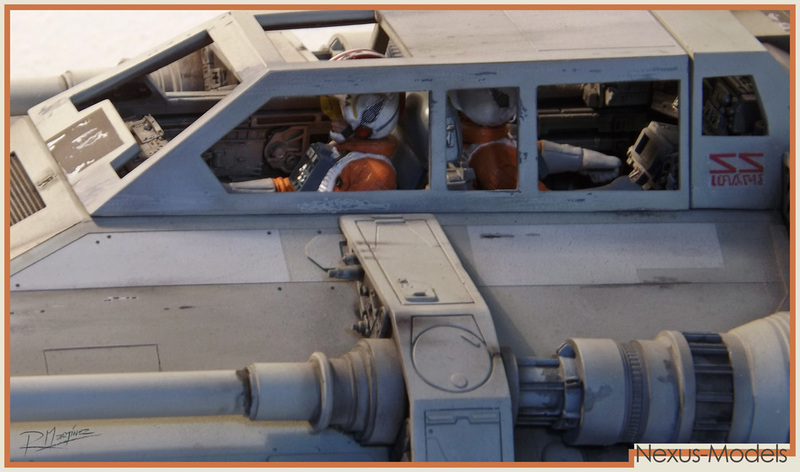 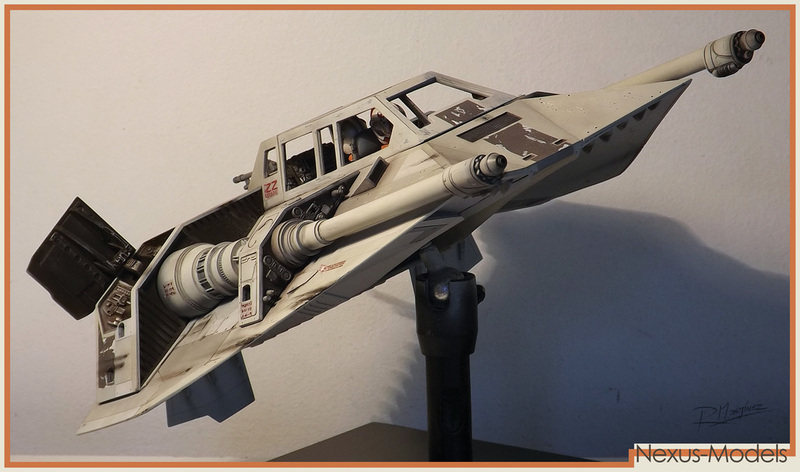 Other features of the Revisited Snowspeeder Resin Kit are it's fully detailed cockpit, 4 articulated Air Brakes and a decal sheet for fuselage markings. 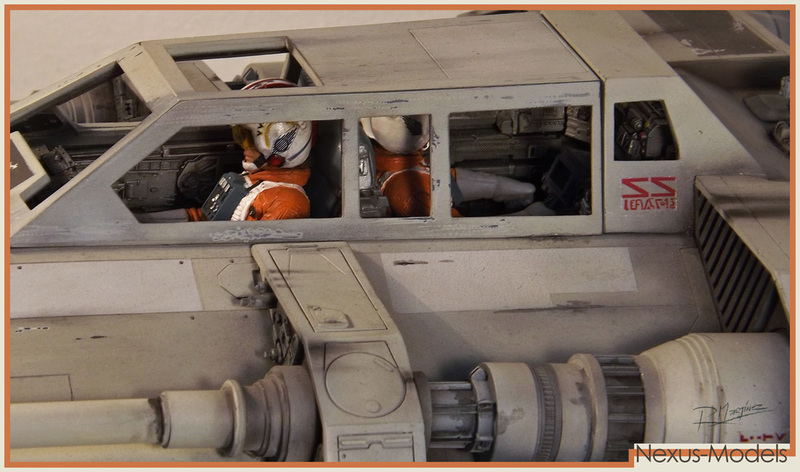 Just as the X-Wing kit, the Snowspeeder kit will be of high quality resin and casting with almost no bubbles. 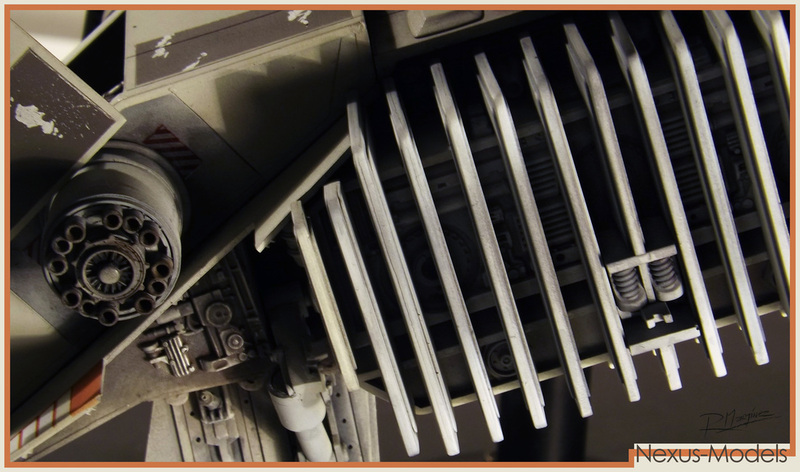 Nexus 1/18th Snowspeeder: Close Up. 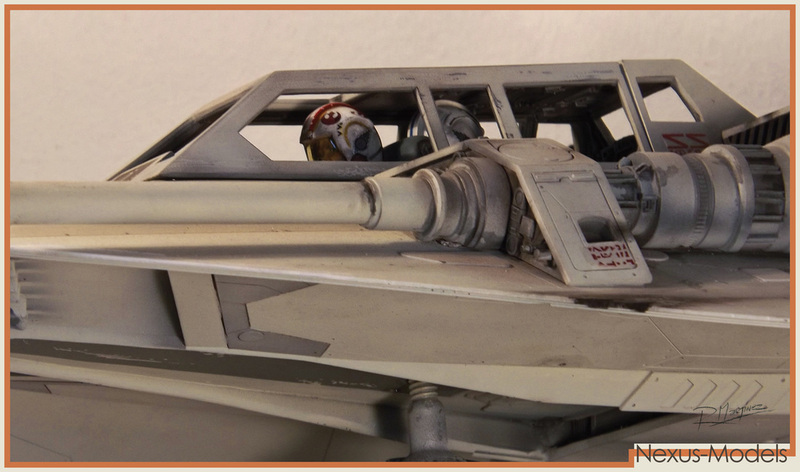 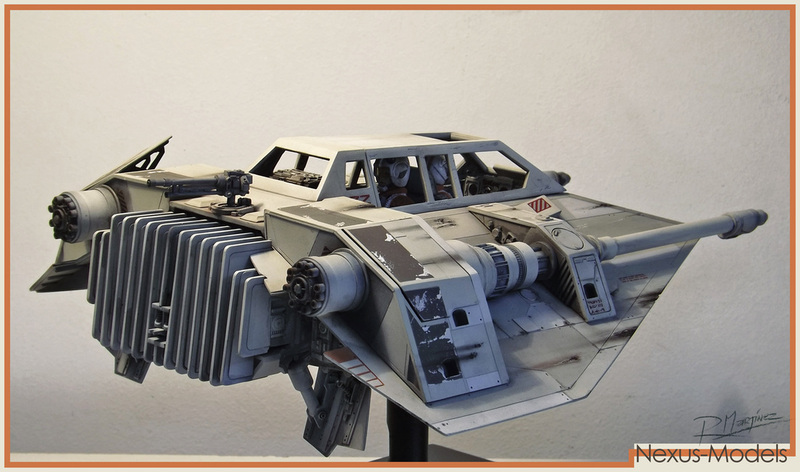 Rogue Leader: Skywalker's Snowspeeder Gallery.